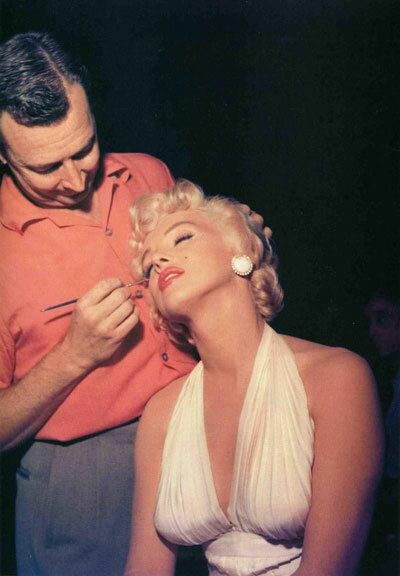 The man behind Marilyn Monroe’s iconic make-up..tips and all! 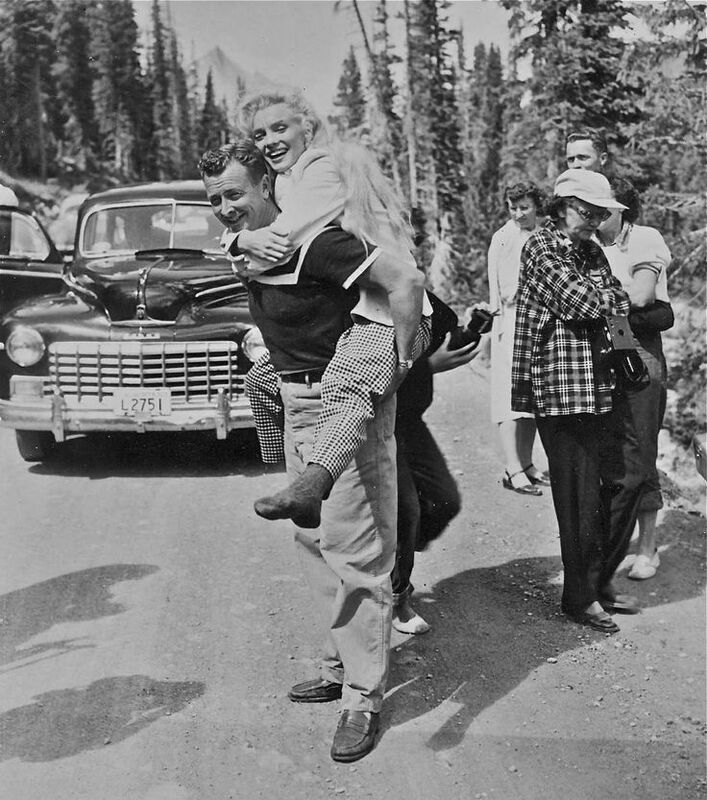 Alan “Whitey” Snyder met Marilyn Monroe on her first screen test, you would assume it went amazingly considering he went on to be her one and only make-up artist, but surprisingly their first interaction was far from perfect. This was her first film test, so Marliyn insisted that Whitey do the same thick make-up application that she was used to for photoshoots. Being a make-up artist you learn that even though something may look awful, you just have to do what the talent wants and let what they look like speak for itself and that is exactly what happened. When they arrived on set the cinematographer shouted “Whitey, what the hell have you got on that face? We can’t photograph her that way! Take this girl downstairs, wash the damn stuff off, do her face the way you know it ought to be and bring her back up!”. 1. Shading (contouring) under her cheek bones, Jaw line and down her nose as well as at the tip of her nose to make it appear smaller, He used both dark contouring colour and a flush of coral blush on her temples, nose and cheeks to add a youthful blush. 2. He used a thick layer of Vaseline as her primer (not something that would be able to withstand High Definition Cameras and Modern Lighting) but this created her gorgeous glow. 3. Shading and highlighting the lips with five different shades of lipsticks and lip liners some to create the illusion of bigger lips, starting by over drawing her lip shape with a much darker liner then filling this in. 4. Once her lipstick was applied he would add white powder to the centre of the bottom lip, adding further to the illusion of bigger lips. 6. He used white eyeshadow and highlighter all over her eyelids, especially highlighting the inner corner. 8. Contrary to popular belief her signature winged liner was a brown pencil not a black liquid, this gave her the winged look but in a more natural way. 9. He used half strip false lashes only on the outer of her eyes to enhance her signature elongated eye. 10. A line was drawn under her lower lash line and extended out then blended to appear as though there was a shadow from her upper lashes, this made her lashes appear bigger. 11. And of course to finish it all off he drew on her beauty mark with a dark brown eye liner. 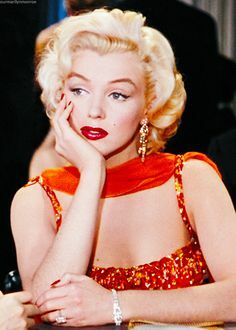 Due to Marilyn’s high anxiety and nervousness like all make-up artists that work closely with talent he would also look after her mental needs, often stalling for hours because she wasn’t ready to face the set and knowing how the industry works he would have been the one to take the blame for this. 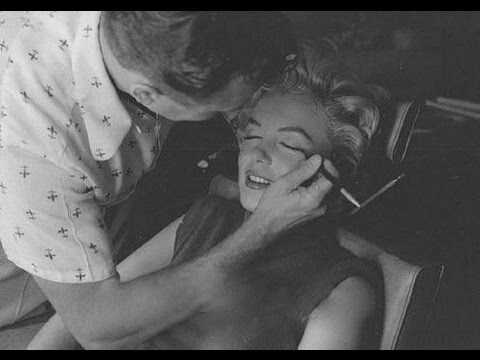 He taught Marilyn how to do her own make-up, travelled the world with her and was one of her closest friends he promised her that he would do her make-up if she were to ever die, a promise that he later kept. After doing her make-up for the final time at the mortuary, he was a pallbearer at the funeral and although this story has a somewhat sad ending it shows his undying loyalty to the very end..and that speaks volumes about what beautiful people they both were. 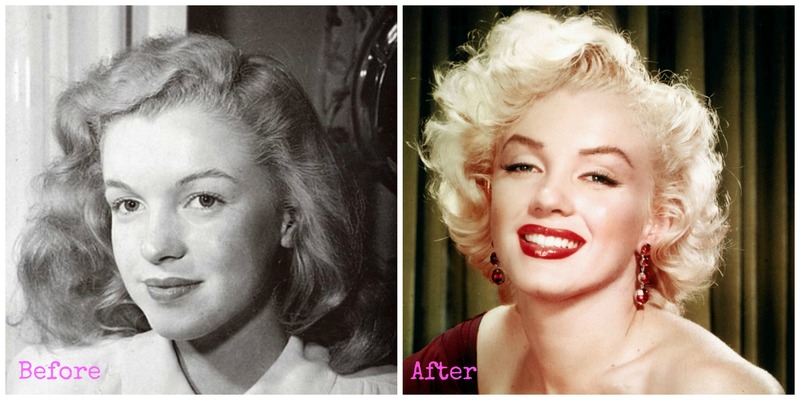 Pictured below is a before and after of Marilyn, Marilyn’s signature make-up look and of course Marilyn and Whitey together. P.s If you love Marilyn’s look check out my pin up tutorial here! 10 Products We Can’t Live Without!! !